We produced Blackburn catalogs for 16 years. These catalogs featured product shots and full descriptions plus many spectacular locations shoots in and around the SF Bay Area. 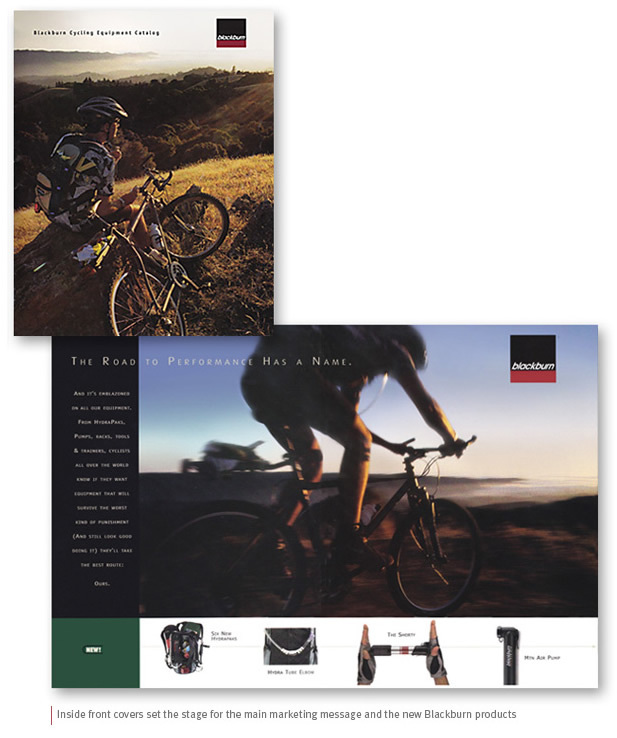 There were also mini-fold out catalogs to go with all the products and displayed in cycling shops.